Died: February 11, 2012, Toronto, Canada, age 93,---d. pneumonia. 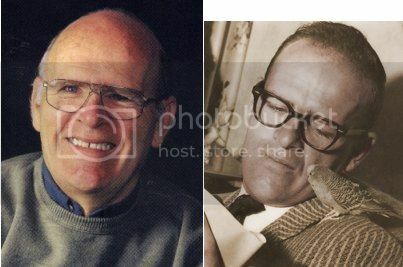 Trent Gardiner Frayne (September 13, 1918 – February 11, 2012) was a Canadian sportswriter whose career stretched over 60 years. Pierre Berton described Frayne as “likely Canada's greatest sportswriter ever." "Billy" Frayne, as he was known as a youth, was the only child born to father Homer, who was a railroader for the Canadian Pacific Railway and mother Ella Trent in Brandon, Manitoba. He began his journalism career with the Brandon Sun at the age of 15 covering minor hockey and moved to Winnipeg, Manitoba three years later to accept a job with the Canadian Press and the Winnipeg Tribune in 1938. He shared lodgings with Winnipeg Free Press columnist Scott Young and befriended Tribune columnist Ralph Allen. He covered his first World Series in 1941 and interviewed Joe DiMaggio. He left Winnipeg in 1942 for Ontario leaving his childhood nickname behind in favour of his given name of Trent. He followed Young and Allen to Toronto and joined the Globe and Mail as a general reporter earning $45 a week. At the Globe he met June Callwood whom he married in 1944. 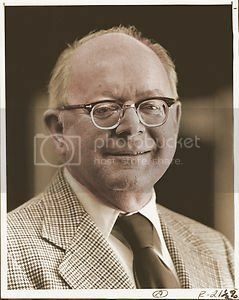 Frayne resumed his work as a full-time sportswriter when he joined the staff of the Toronto Telegram. He moved to Maclean's Magazine in the 1950 where Callwood was by then working as a freelancer. Fellow Maclean's writer Pierre Berton became a close friend and said of the couple "They were very much in love, a handsome couple who called each other 'Dreamy,'" The couple raised four children in the Etobicoke home they shared until Callwood's death in 2007. Frayne and Callwood also hosted the CBC Television talk show The Fraynes in the 1954-55 television season. In 1959, Frayne was hired by the Toronto Star as a feature writer and, from 1962 to 1968, worked as a publicist for the Ontario Jockey Club before resuming his journalism career and then moving to the Toronto Sun in the 1970s. From 1983 to 1989 the couple both worked as columnists at the Globe and Mail. Frayne wrote monthly columns for Maclean's from 1989 until his retirement at the age of 78 in 1997. During his career, Frayne's work has also appeared in Chatelaine, Sports Illustrated and Saturday Evening Post magazines. He has written more than a dozen books and won the National Newspaper Award for sports writing in 1975 and was the first recipient of Brandon University's Quill Award for Outstanding Achievement in 1990. He was inducted into the Hockey Hall of Fame in 1984, receiving the Elmer Ferguson Memorial Award, and inducted into the Canadian Football Hall of Fame in 1988, and the Manitoba Hockey Hall of Fame, and also inducted into the Canadian News Hall of Fame and was honoured with a life membership in the Baseball Writers of America. Frayne's memoir is titled The Tales of an Athletic Supporter. He and Callwood had four children, Jill (born 1945), Brant (born 1948), Jesse (born 1951) and Casey who was born in 1961 and was killed in a motorcycle accident in 1982. He died at the age of 93 of pneumonia and complications related to old age. Frayne is survived by three children and his extended family. Last edited by Bill Burgess; 05-23-2013, 01:56 PM. Last edited by Bill Burgess; 11-08-2013, 10:59 AM. Jerry Izenberg (born 1930) is a sports journalist with the The Newark Star-Ledger in Newark, New Jersey. His career with the Star-Ledger began in 1951 while he was still a student at Rutgers University, Newark, but was interrupted for several years during which he served in the Korean War. Izenberg has covered many memorable sporting events and figures of the late Twentieth century, including Sonny Werblin's ownership of the New York Jets, the boxing career of Muhammad Ali, and the Loma Prieta earthquake which interrupted the 1989 World Series. In 1997, Izenberg was inducted into the Sports Hall of Fame of New Jersey and in 2000 he won the Red Smith Award from the Associated Press Sports Editors. To commemorate his 55 years in journalism, Izenberg wrote an eight-part memoir for the Star-Ledger in 2006. Izenberg is one of only three daily newspaper journalists to have covered every Super Bowl. Last edited by Bill Burgess; 06-07-2013, 06:39 PM. Born on March 16, 1937 in Nipawin, Saskatchewan, Jim Taylor of West Vancouver was B.C. 's most widely-read sports columnist. Taylor began his newspaper career in 1954 as a part-time sports reporter at the Daily Colonist in Victoria and later wrote for the Vancouver Sun, the Vancouver Province and the Calgary Sun. He became a nationally syndicated sports columnist, author, and broadcaster. His 1987 chronicle of Rick Hansen's wheelchair journey, Man In Motion, reputedly had a record first printing for a B.C. book. In addition to Taylor's books on Wayne Gretzky, entitled Gretzky: The Authorized Pictorial Biography with Wayne Gretzky, and B.C. Lions' Jim Young, entitled Dirty Thirty, Taylor is credited with the re-write of a Soviet journalist's biography of Igor Larionov. In 2004, he compiled The Best of Jim Coleman: Fifty Years of Canadian Sport from the Man Who Saw it All. A member of the B.C. Sports Hall of Fame and the Canadian Football League Hall of Fame, Taylor was awarded a lifetime achievement award by Sports Media Canada in 2000. He began his writing career as part-time high school sports reporter, drank beer from the Stanley Cup, saw Paul Henderson score "The Goal" in 1972, predicted rookie placekicker Lui Passaglia wouldn't last with the BC Lions more than one season and wrote more than 8,000 newspaper columns. He recalls his half-century as a sports writer in Hello, Sweetheart? Gimme Rewrite! Jim Taylor received the 2010 Bruce Hutchison Lifetime Achievement Award for B.C. journalism at the 24th annual Jack Webster Awards dinner on November 1st at the Hyatt Regency Hotel in Vancouver. Coincidentally, Taylor’s acknowledgement by the Jack Webster Foundation comes in the same month as the publication of his new book, fittingly entitled And to Think I Got in Free! Highlights from Fifty Years on the Sports Beat. This fascinating collection reveals why Taylor was awarded this lifetime achievement award for journalism as it boasts an impressive collection of his most entertaining and remarkable stories from his career following sporting events and personalities over five decades. Name any memorable event—from Canada-Russia 1972 to Rick Hansen’s Man in Motion tour—or any famous name from Wayne Gretzky to Muhammad Ali, Jim Taylor was there giving his insightful and witty take on the subject. And to Think I Got in Free! is slated to be published in mid-late September, 2010. 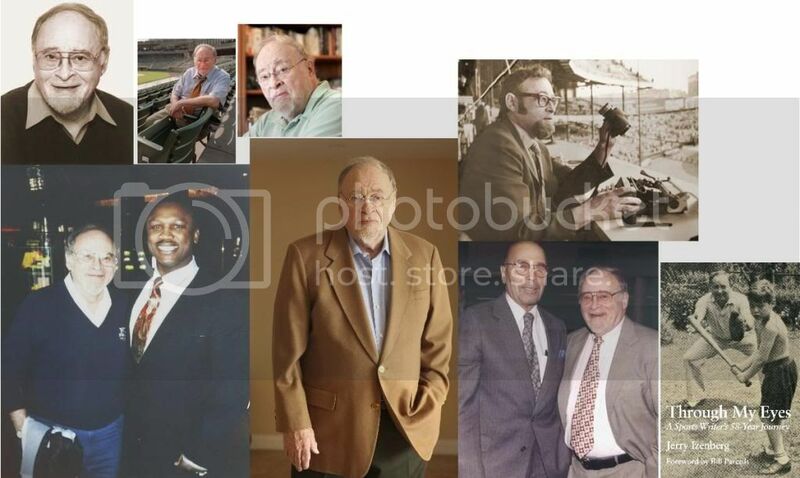 Jim Taylor has produced some 7,500 sports columns, 3 times as many radio shows and 13 books. Last edited by Bill Burgess; 05-23-2013, 03:47 PM. Born in Freeport, Texas, Bill moved to New Orleans in 1955. From that point on, Bumgarner has called this city home. Bill graduated from New Orleans Academy in 1967 before heading to Lafayette for college. He is a 1971 graduate of the University of Southwestern Louisiana (now UL-Lafayette) with a degree in liberal arts in political science. Bumgarner cut his teeth in journalism as a writer with the school's newspaper for three years,. Bill was then hired at The States-Item on Dec. 22, 1972 and remained on staff when that publication merged with the Times-Picayune. As primary assignments, Bumgarner covered state college sports for one year, high school sports for eight years, LSU basketball and football for five years and golf for eight years. Bill covered high school sports for The Times-Picayune from May 1980 until July of 2009. He authored recruiting blue-chip lists from 1975 until 2007. He remains tapped into the local prep scene to this day. Bill has covered every state championship football game on highest classification since 1975 as well as every Superdome Classic. 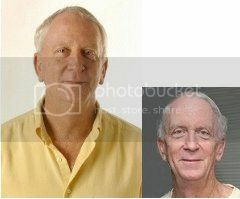 He also has covered every Top 28 Basketball Tournament and state baseball tournament since 1975 involving local teams. Bumgarner also works with the Louisiana Sports Hall of Fame in Natchitoches. Last edited by Bill Burgess; 06-07-2013, 06:13 PM. Died: July 3, 2009, Huntington, WV, age 87,---d. at home. ERNEST A. 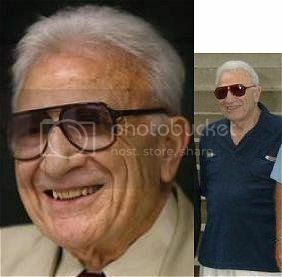 "ERNIE" SALVATORE, 87, of Huntington, W.Va., died Friday, July 3, 2009, at his residence. He was born September 3, 1921, in Utica, N.Y., a son of the late Ernest and Teresa Benincasa Salvatore. Ernie was a graduate of Marshall University, where he received his degree in Journalism, a World War II Army veteran, serving as a x-ray technician and retired from The Herald-Dispatch as Executive Sports Editor. He was a member of St. Joseph Catholic Church, where he was also a member of the Men's Club, member of The Sons of Italy, Sigma Delta Chi Society of Professional Journalists, honorary member of Ebony Golf Classic Committee, charter member of the National WW II Museum and The Salvation Army Advisory Board. In addition to his parents, he was also preceded by his wife, Joanne Pinckard Salvatore and three sisters. Ernie is survived by three sons and two daughters, Ernest A. Salvatore Jr. of Cincinnati, Ohio, John Salvatore of Columbus, Ohio, Marc Salvatore of Clovis, Calf., Lynn Cronk of Davenport, Iowa and Theresa Stephens of Huntington; six grandchildren, Derek Salvatore, Rebecca Stephens, Amanda Salvatore, Sean, Alissa and Jessica Salvatore; one great-granddaughter, Brea Salvatore, and several nieces and nephews. Funeral Liturgy will be 10 a.m. Thursday, July 9, 2009, at St. Joseph Catholic Church, Huntington, by Monsignor Lawrence Luciana, Celebrant. Interment will follow in Woodmere Memorial Park, Huntington. Friends may call Wednesday from 6 to 8 p.m. at Klingel-Carpenter Mortuary, Huntington. Pallbearers will be Mike Prestera, Anthony Hanshaw, David Walsh, Fran D'egidio, Ed Faulkner and Keith Morehouse. Honorary pallbearers are Lou Sahadi, Tom D. Miller, Lowell Cade, Don Hatfield, Mike Graybeal, Jack Hardin and Bob "K.O." Marcum. Expressions of sympathy may be made to the Salvatore Sports Journalism Scholarship, c/o Marshall University Foundation, 1 John Marshall Dr., Huntington, WV 25775; St. Joseph School Building Fund; or the organization of one's choice. Family guestbook at www.klingelcarpenter.com. Last edited by Bill Burgess; 05-25-2013, 03:38 PM. 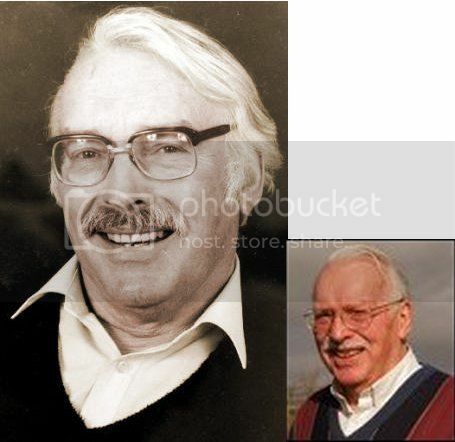 Con Houlihan (6 December 1925 – 4 August 2012) was an Irish sportswriter. Despite only progressing to national journalism at the age of 46, he would become "the greatest and the best-loved Irish sports journalist of all". Over a lengthy career, Houlihan covered many Irish and international sporting events, from Gaelic football and hurling finals, to soccer and rugby World Cups, the Olympics and numberless race meetings inside and outside of Ireland. He was a journalist with the Irish Press group writing for The Irish Press, Evening Press and sometimes The Sunday Press, until the group's demise in 1995. He wrote the "Tributaries" column and Evening Press back sports page "Con Houlihan" column. Houlihan died in the morning of 4 August 2012 in St James's Hospital in Dublin. Often considered one of Ireland's finest writers, he left behind a legacy of immense sports journalism that spanned over 60 years. A minute's silence was observed in his memory ahead of Kerry's All-Ireland Senior Football Championship quarter-final defeat to Donegal at Croke Park the following day. His last column, in which he wished Katie Taylor well, was published the day after his death. His funeral took place on 8 August. A bronze bust of Houlihan was unveiled in his hometown of Castleisland in 2004. In 2011, another sculpture was erected outside The Palace bar in Dublin. Last edited by Bill Burgess; 06-07-2013, 05:41 PM. Frank Boggs wrote sports for the Daily Oklahoman, Topeka Capital-Journal and Dallas Times-Herald in the 1970s and '80s and later was sports editor and columnist for the Daily Oklahoman and Colorado Springs Sun. 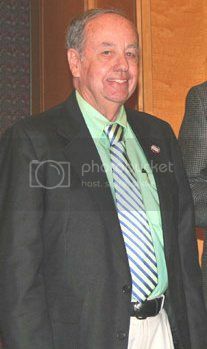 Boggs was selected Oklahoma Sportswriter of the Year 10 times and is a member of the Oklahoma Journalism Hall of Fame. He was a recipient of the Jake Wade Award in 1981, given annually by CoSIDA to a national sports journalist. CoSIDA also recognized Boggs in 1977 by presenting him with the Backbone Award for displaying good judgment and unusual courage for taking a stand on intercollegiate athletics during the Oklahoma football scandal. Frank retired to Edmond, OK.
Last edited by Bill Burgess; 05-25-2013, 04:06 PM. Father: Everett Lee (Severetti); Mother: Ellen Sophia Cornwell; Wife: Alice Graham Sumner, born Connecticutt, born January, 1861; Son: Walter, Jr., born Connecticutt, February, 1891; Daughter: Janet Troxell, born Connecticutt, July, 1897. Walter married Alice June 30, 1888. Walter Chauncey Camp (April 7, 1859 – March 14, 1925) was an American football player, coach, and sports writer known as the "Father of American Football". With John Heisman, Amos Alonzo Stagg, Pop Warner, Fielding H. Yost, and George Halas, Camp was one of the most accomplished persons in the early history of American football. He played college football at Yale College from 1876 to 1882. Camp served as the head football coach at Yale from 1888 to 1892 before moving to Stanford University, where he coached in December 1892 and in 1894 and 1895. Camp's Yale teams of 1888, 1891, and 1892 have been recognized as national champions. Camp was inducted into the College Football Hall of Fame as a coach in 1951. Walter Camp was born in the city of New Britain, Connecticut, the son of Everett Lee (a school principle) and Ellen Sophia (Cornwell) Camp. He attended New Haven, entered Yale College in 1875, and graduated in 1882. At Yale he was a member of Delta Kappa Epsilon fraternity, the Linonian Society, and Skull and Bones. He attended Yale Medical School from 1880 to 1883, where his studies were interrupted first by an outbreak of typhoid fever and then by work for the Manhattan Watch Company. He worked for the New Haven Clock Company beginning in 1883, working his way up to chairman of the board of directors. In 1873 Walter Camp attended a meeting where representatives from Columbia, Rutgers, Princeton, and Yale universities created the intercollegiate football association(IFA). They created the rule that each team is only allowed 15 plays per drive. On June 30, 1888, Camp married Alice Graham Sumner, sister of William Graham Sumner. They had two children: Walter Camp, Jr. (born 1891) who attended Yale as well and was elected as a member of Scroll and Key in 1912, and Janet Camp Troxell (born 1897). Despite having a full-time job at the New Haven Clock Company (A Camp Family Business) and being an unpaid yet very involved adviser to the Yale football team, Camp wrote articles and books on gridiron and also on sports in general. By the time of his death, he had written nearly 30 books and more than 250 magazine articles. His articles appeared in national periodicals such as Harper's Weekly, Collier's, Outing, Outlook, and The Independent, and in juvenile magazines such as St. Nicholas, Youth's Companion, and Boys' Magazine. His stories also appeared in major daily newspapers throughout the United States. He also selected an annual "All-American" team. According to his biographer, Richard P. Borkowski, "Camp was instrumental through writing and lecturing in attaching an almost mythical atmosphere of manliness and heroism to the game not previously known in American team sports." By the age of 33, twelve years after graduating from Yale, Walter Camp had already become known as the "Father of Football". In a column in the popular magazine Harper's Weekly, sports columnist Caspar Whitney had applied the nickname; the sobriquet was appropriate because, by 1892, Camp had almost single-handedly fashioned the game of modern American football. Last edited by Bill Burgess; 05-25-2013, 05:30 PM. A sports journalist whose career with a South Coast daily spanned five decades has died, aged 82. John Vinicombe, left, wrote for Brighton based title The Argus where he was the reporter for the Brighton and Hove Albion Football Club and Sussex County Cricket Club. Among his scoops was the news that legendary football management duo Brian Clough and Peter Taylor were joining Brighton in 1973 having been sacked by Derby County after winning the League Championship. 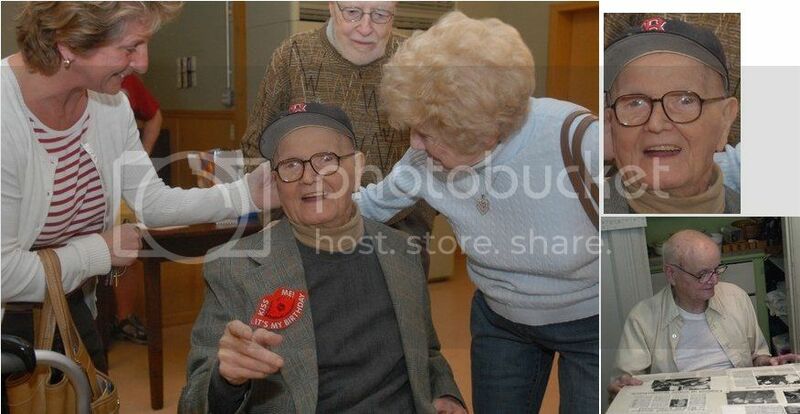 John died in a nursing home last week after a battle with skin cancer. He began work at the then Evening Argus in the early 50s having previously served with the RAF. He had also worked at the Worthing Herald and Press Association. Argus sports editor Chris Giles said: “John was a formidable journalist with an impeccable reputation. “He was hugely respected by his colleagues at The Argus and his name will always be synonymous with his robust reporting of Albion and Sussex cricket. “After retiring, we were delighted John was able to continue covering golf in Sussex. “Golf was John’s other sporting passion and he was responsible for starting the Friday column in The Argus many years ago. John, who continued as the paper’s golf correspondent until his death, had covered Brighton Albion Football Club in all four divisions of English football. He was also cricket correspondent for the paper, reporting on Sussex at several major finals at Lord’s, as well as captain Tony Greig’s shock departure to the World Series with Kerry Packer. When he retired the cricket club presented him with a barometer. John was a widower and had three sons, eight grandchildren and three great grandchildren. Last edited by Bill Burgess; 05-23-2013, 05:46 PM. 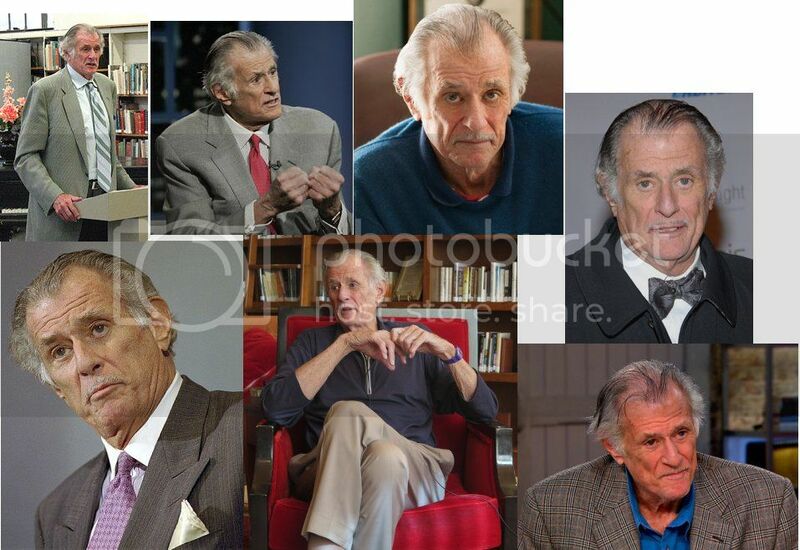 Frank Deford (born Benjamin Franklin Deford III on December 16, 1938 in Baltimore, Maryland) is an American sportswriter and novelist. In 2012 he became the first magazine recipient of the Red Smith Award. 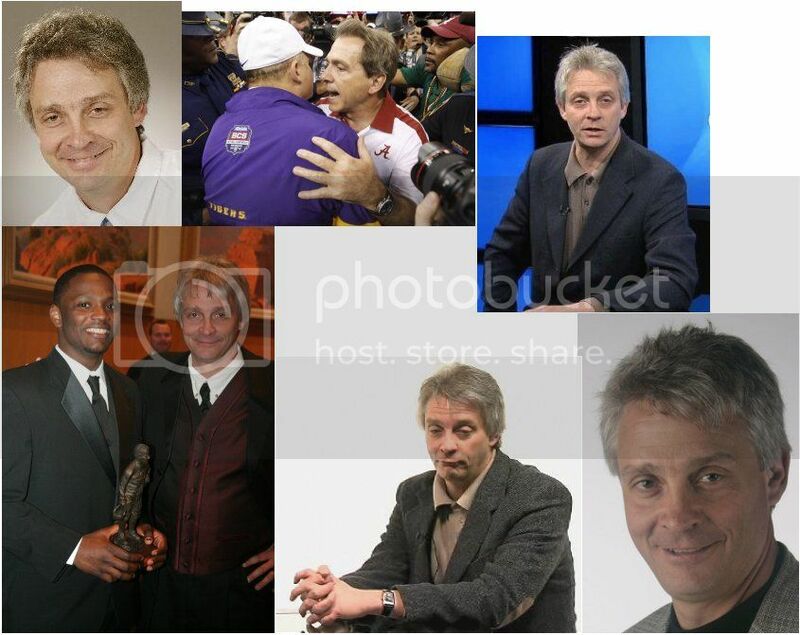 In 2013 he will be presented with the William Allen White Citation for "excellence in journalism" by the University of Kansas and will become the first sports journalist ever to receive the National Press Foundation's highest honor, the W.M. Kiplinger Award for Distinguished Contributions to Journalism. Deford's archives are held by the University of Texas, where an annual lecture is presented in his name. He is a long-time advocate for research and treatment of cystic fibrosis. After graduation from Princeton in 1962, Deford began his career as a researcher at Sports Illustrated." In addition to his writing at Sports Illustrated," he was a commentator on CNN and has been a correspondent for HBO's Real Sports with Bryant Gumbel since 1995; and a regular Wednesday commentator for NPR since 1980. His 1981 novel Everybody's All-American was named one of Sports Illustrated's Top 25 Sports Books of All Time and was later made into a film of the same title. Much of Deford's fiction is, however, set outside of the sports realm. The most recent of his novels is the acclaimed Bliss, Remembered, a 1930s romance between a pretty young American and the son of a German diplomat; the story is written from the point of view of the woman. He has also been the screenwriter on the films Trading Hearts (1987) and Four Minutes" (2005). In 1989 Deford left Sports Illustrated and NPR to serve as editor-in-chief of The National, the first daily U.S. sports newspaper. It debuted January 31, 1990 but folded after only eighteen months. The newspaper was published daily in tabloid format. It was praised for its editorial content, but was a victim of circulation problems. After then writing for Newsweek and Vanity Fair, Deford subsequently returned to Sports Illustrated as Senior Contributing Writer. Deford served as chairman of the Cystic Fibrosis Foundation for seventeen years, until 1999, and remains chairman emeritus. He became involved in cystic fibrosis education and advocacy after his daughter, Alexandra, was diagnosed with the illness in 1972. After Alex died on January 19, 1980, at the age of eight, Deford chronicled her life in the memoir Alex: The Life of a Child. The book was made into a movie starring Craig T. Nelson as Deford, Bonnie Bedelia as his wife Carol and Gennie James as Alex. Deford grew up in Baltimore, Maryland, the oldest of three sons, and attended the Calvert School and Gilman School in Baltimore. He is a graduate of Princeton University and now resides in Westport, Connecticut, with his wife, the former Carol Penner, who had been a fashion model. They have two surviving children: Christian (b. 1969) and Scarlet (b. 1980). Scarlet was adopted as an infant from the Philippines a few months after the loss of Alex. Deford has two grandchildren; Annabel (b. 2010) and Hunter (b. 2012). Deford met his wife in Delaware and they were married in Newport, Rhode Island in 1965. Last edited by Bill Burgess; 05-25-2013, 05:38 PM. Father: Sabino, born Italy, around 1891; Mother: Maria, born Italy, around 1894; Wife: Marge; Son: Pat; Daughter: Sandy; Father Sabino immigrated US in 1909. WEST SPRINGFIELD - Generations of Springfield sports fans grew up reading Sam Pompei, whose name was synonymous with top-flight reporting on many topics, but especially the city's American Hockey League franchise. One of the true legends of local sportswriting, and owner of a reputation that was known throughout North America, Pompei died Sunday morning. He was 92. "He was a wonderful man who had a wonderful life,'' said Bruce Landon, president and general manager of the Springfield Falcons. A lifelong West Springfield resident, Pompei retired in 1974 when cataracts began affecting his eyesight. His legacy has endured over subsequent decades, and he is a member of the Springfield Hockey Hall of Fame. At a time Springfield had separate morning and afternoon dailies, Pompei worked for the afternoon Daily News as well as the Sunday Republican. His 34-year career included 16 years as sports editor. He covered a variety of topics, including baseball, when Pompei reported on the Red Sox during the Ted Williams era. He also staffed three World Series. But Pompei's major influence was in hockey, where he covered the Springfield Indians and later the Kings, afer the franchise's name was changed for a time in the late 1960s. 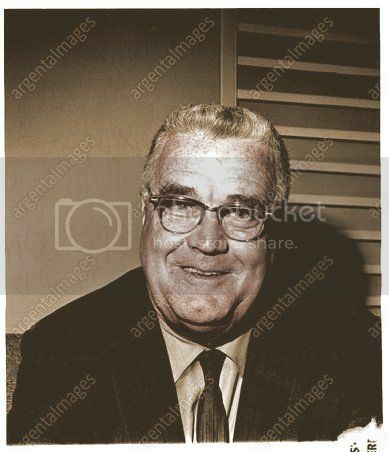 Pompei was the beat reporter during the Indians' run of three straight Calder Cup championships from 1959-61.At a time the National Hockey League consisted of only six teams, Springfield was considered the seventh strongest pro team in the world. He had begun career as a newspaper reporter at 15 in the 1930s. Working at the Eastern States Coliseum as one of the locally renowned "Rink Rats,'' he covered youth hockey games for 15 cents per inch of copy. Pompei graduated from West Springfield High School in 1936. For the most part, his journalism savvy was self-taught, the result of hours research at the Springfield City Library. Pompei also made the five-mile walk to Springfield College, where he practiced his writing by doing mock stories on college baseball and basketball. games. He enlisted in the U.S. Navy on Dec. 8, 1941, one day after the Japanese bombing of Pearl Harbor. He was honorably discharged as a gunner's mate, first class in 1946, then resumed his newspaper career. After a year of freelance work, he was hired as a city reporter for the Daily News and Sunday Republican in 1947. He moved to sports a year later, and became sports editor in 1958. Pompei was predeceased by his wife of 61 years, Marge. He is survived by a son and daughter, Pat and Sandy. Last edited by Bill Burgess; 11-07-2013, 07:55 AM. Phi Sigma Kappa; Sigma Delta Chi; Phi Delta Phi; Crescent; American Legion post 3; AF & AM 227; BPOE 80; St Paul Methodist Church; Indep; hobby, travel; off 122 N 14th; res 1315 K, Lincoln. Last edited by Bill Burgess; 09-02-2013, 04:15 PM. Wife: Tricia; Berry & Tricia married in 1980. Last edited by Bill Burgess; 05-23-2013, 06:49 PM. Don Hunt: Of the three wise men who co-founded the Toronto Sun, Don worked mostly behind the scenes. His brother, Jim Hunt, a legendary sports writer, was far more high profile at the Tely and Sun. Don, a former public relations worker, also dabbled in sports at the Tely and was the Tely's syndicate manager when the paper folded in October 1971. Don left the Sun in 1988, moved to the U.S. to work on papers there, including the Houston Post, Denver Post and the Rocky Mountain News. He is now retired. Last edited by Bill Burgess; 05-22-2013, 05:53 PM.